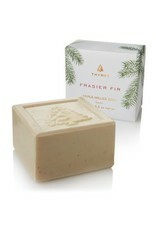 Thymes Frasier Fir Bar Soap is a beautiful tradition for giving to others, and to yourself. 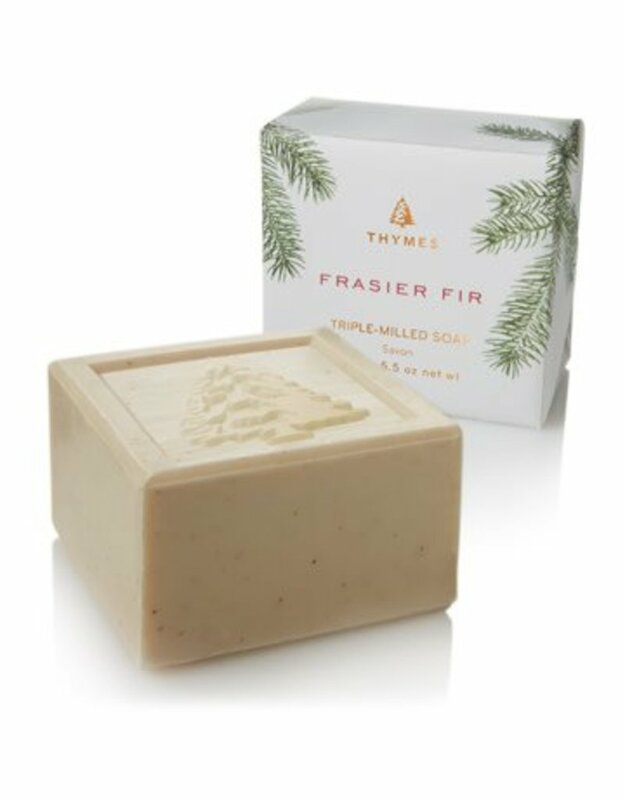 Triple-milled for creamy lather, this all-vegetable bar soap combines moisturizing glycerin and exfoliating crushed apricot kernels to cleanse, moisturize and refine hands while lifting the spirits with Frasier Fir's crisp, just-cut forest fragrance. Makes a festive party favor or stocking stuffer. And perfect for all winter long.